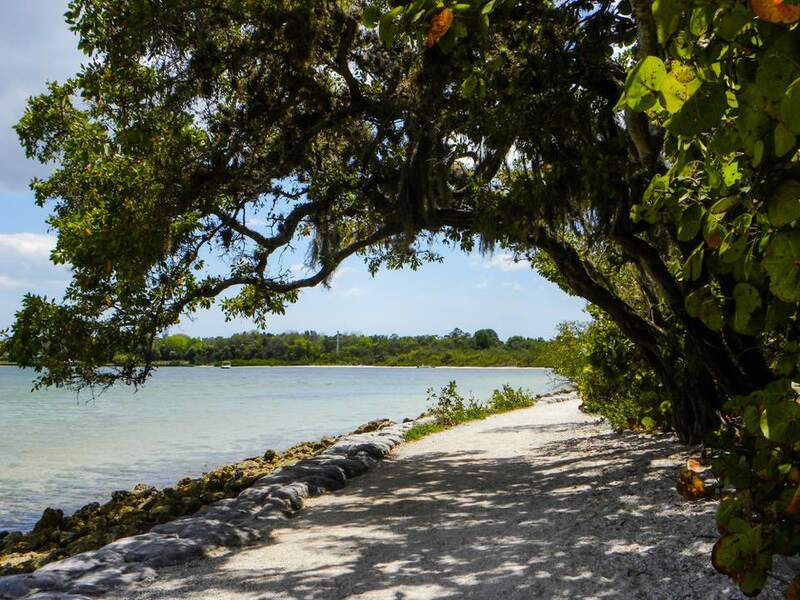 Bradenton, Fla., has beautiful weather year-round and is situated across the Sunshine Skyway from St. Petersburg within the southernmost reaches of Tampa Bay, Florida. If you're planning a beach vacation, head to Anna Maria Island where you will find quiet neighborhoods and a great selection of rental cottages on the barrier island. Since Bradenton is located close to the water, look for overall average high temperatures of 83 degrees and average lows of 62 degrees, which makes packing for your vacation or getaway to Bradenton easy—simply include a bathing suit, shorts, and sandals for spring through fall visits and add warmer clothing and a light jacket for the winter months. Although the water temperature can get a bit chilly during the winter months, ample sunshine still makes sunbathing an option even in January and February. However, the Atlantic hurricane season runs from June 1 through November 30, so be prepared if you are traveling during hurricane season if you're planning a vacation during those months. Be sure to check out local weather reports for up-to-date and current forecasts, especially in the weeks leading up to your trip as Florida temperatures often fluctuate, especially during hurricane season. Due to its location on the Gulf of Mexico, Bradenton doesn't experience the traditional winter weather conditions of other parts of the United States. Average high temperatures in December, January, and February remain in the lower 70s while lows only reach 53 degrees on average and the Gulf waters stay at a pleasant 64 to 69 degrees for most of the season. What to Pack: Because it also doesn't rain much these months, there's no real reason to pack anything beyond a light winter coat and a compact umbrella, though packing a bathing suit might not be the best idea since the water temperatures have dropped from their high of 87 degrees in the summer. Still, the weather's great for sunbathing or exploring some of the many points of interest in Tampa and Bradenton, so be sure to pack clothing you can layer to adjust for Florida's cool-to-warm winters. Things start to warm up in Bradenton in March and April, but the Gulf waters don't hit close to their summer temperatures until early May. Still, with little rain in the forecast and highs ranging from 77 F (25 C) in March to 87 F (30 F) in May, spring is a great time to start working on your tan on one of Bradenton's many beautiful beaches. What to Pack: With excellent spring weather, pack light beachwear, including a swimsuit and other breathable fabrics. Spring is quite dry, so you won't need to worry about packing heavy raingear like you might need later in the summer. Summer is the rainy season for much of Florida, especially considering the last few years' hurricane seasons, which brought torrential downpour across most of the state. With temperatures soaring to an average high of 91 in July and August, the average rain total of 25 inches can make for a pretty muggy summer in Bradenton. What to Pack: You'll want to start packing lighter and lighter as spring turns to summer—now's the time to break out the swim trunks and beachwear as gulf temperatures rise from 67 degrees in March to 87 degrees by the middle of September. This warm coastal city doesn't cool off in August or the rest of autumn—in fact, residents of Bradenton only experience "fall" temperatures and weather conditions in winter and "summer" conditions throughout much of spring, summer, and fall. Still, temperatures do take a slight dip the further into November it gets, with the average high capping at 80 for the month and average low bottoming out at 59 degrees. September is relatively rainy with a seven-inch average rainfall total for the month, but October and November are relatively dry, both only receiving two to three inches. What to Pack: You'll only really need to start packing heavier and layered clothing options in late October and early November, but should bring rain gear and umbrellas for the first part of the season.